If you’re strapping a great deal of goods to pallets and want to save time, effort and the costs on seals or buckles then our range of battery powered PP tools can help. The battery tools tension the strapping and then weld it together with heat generated by friction welding. Cutting down your time and cost per strap significantly. 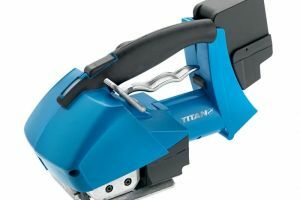 We have the latest tools from Switzerland and Transpak. 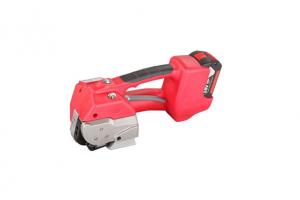 16MM H54L HELIOS STRAPPING TOOL is an inexpensive and reliable strapping tool designed for Polypropyleneand Polyethylene (PET) Strap. 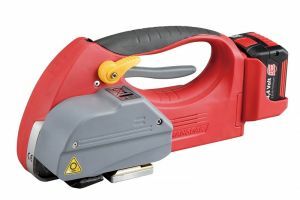 ADVANCED SWISS MADE 18V 250KG STRAPPING TOOL The XST-260 is the latest generation in advanced Swiss made automatic battery powered strapping tools. 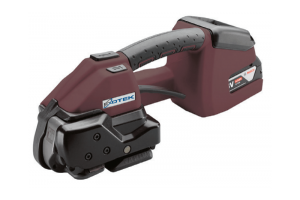 The XST-46 Kronos is a world-class battery powered strapping tool. With flexible settings, wide tension range and the ability to accommodate both PP and PET strapping.